Oversized, vacant lot in Burnt Store Meadows. Burnt Store Meadows is a growing, deed-restricted community nestled between US41 & the Burnt Store Rd corridor with exits to both roads. Large lot equals almost .5 acres & is zoned for multi-family but can be used for single-family. Perfect spot to build your custom home or income property. Enjoy a serene setting while maintaining access to all the amenities the area offers including golf, boating, fishing, biking & so much more. 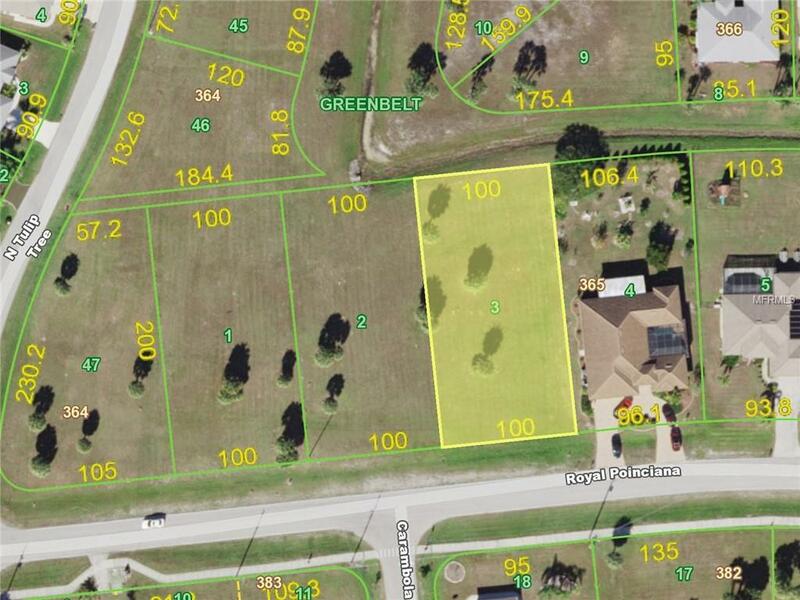 Lot features easy access to Punta Gorda, Cape Coral & Ft Myers & is just minutes from Burnt Store Marina or I-75. Build your dream home here and start living the Florida lifestyle. Lot offers city sewer & city water and is surrounded by a mix of custom-built homes and vacant home sites. Adjacent lot #2 is for sale separately. Buy together for almost an acre. Seller has concept plan for 13 unit assisted living facility on both lots that he will share with buyer.